Uniontown, PA. (Mar. 1, 2018) – The #1 nationally ranked “Conquistadors” faced off against #5 Rochester College in the USCAA Basketball National Championship Semifinal Game. Both teams struggled offensively in the early minutes of the game. The Conquistadors were slow getting on the scoreboard until Terrence Johnson was able to create a mid-range jumper. The Conquistadors relied on their defense to create turnovers and fast breaks on the other end of the court. Unfortunately, rushed shots kept the conquistadors in a drought for five straight minutes. Rochester lead by as much as 7 points in the first half. Christoper Hall’s streak scoring created a 6 point drive with one trip down the court to cut the lead to 1. Rochester still maintained the lead at halftime 30-25. Rochester College increased the lead quickly in the second half with an 8 point lead. The offensive slump continued for the conquistadors as their fast pace offense didn’t create any second chances as they shot 33% from the field. Freshman Kenneth Santos was quite all game only scoring a total of three points. 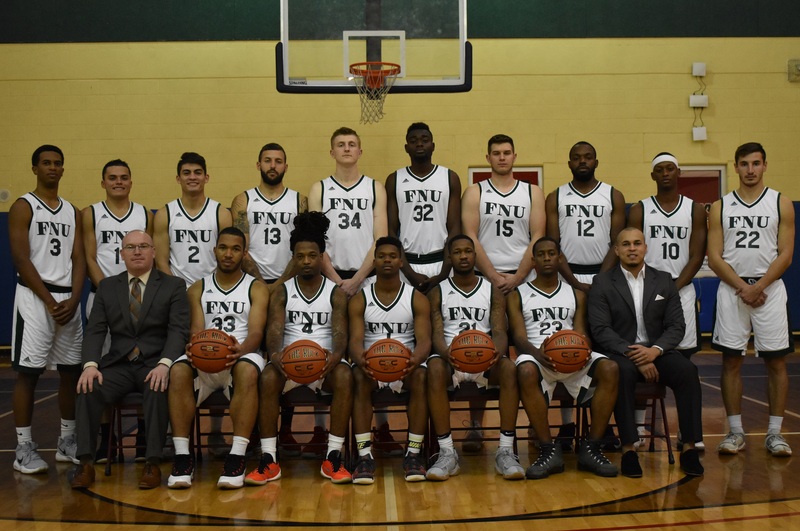 FNU found themselves behind most of the game, Jessy Cantinol offense, rebounds, and scrappy play kept FNU close in the game. FNU found some late offense from freshman Jose Benitez, but two missed free throws late in the game changed the momentum back to Rochester College as they closed the game 70 to 69.